2 Bedroom Detached Bungalow For Sale in Rotherham for Guide Price £160,000. IMPRESSIVE DETACHED BUNGALOW! EXTENSIVE PLOT, Modern kitchen, well presented, stylish bathroom, attractive gardens, driveway and GARAGE! NO CHAIN! 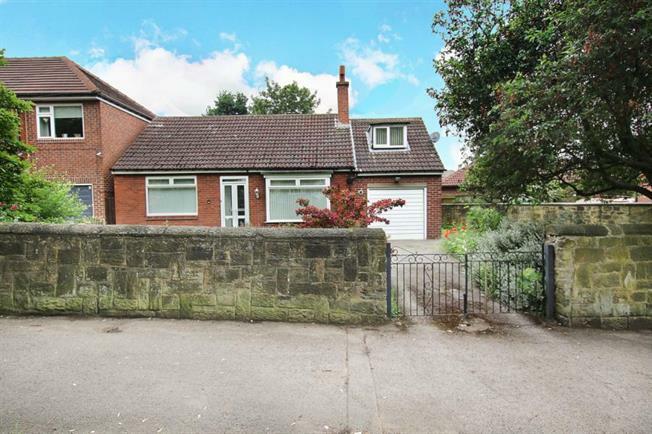 Occuping an envious position standing in an extensive plot is this impressive two/three bedroom detached bungalow. Boasting attractive gardens, driveway and garage. This superb property benefits from no upward chain and offers well presented and spacious living accommodation briefly comprising: entrance hall, kitchen, lounge/dining room, dining room/bedroom, two bedrooms and stylish bathroom. Situated in this highly regarded area within easy access to local amenities, schools and public transport links. View today!